Many urban axe throwers join our axe throwing leagues as a recreational sport and something different to do on an evening. Although week after week, throw after throw, their competitive side comes out as they battle it out in the finals! We’ve just wrapped up an entire winter season across various locations; Burlington, Kitchener, Chicago and Ottawa to name a few. 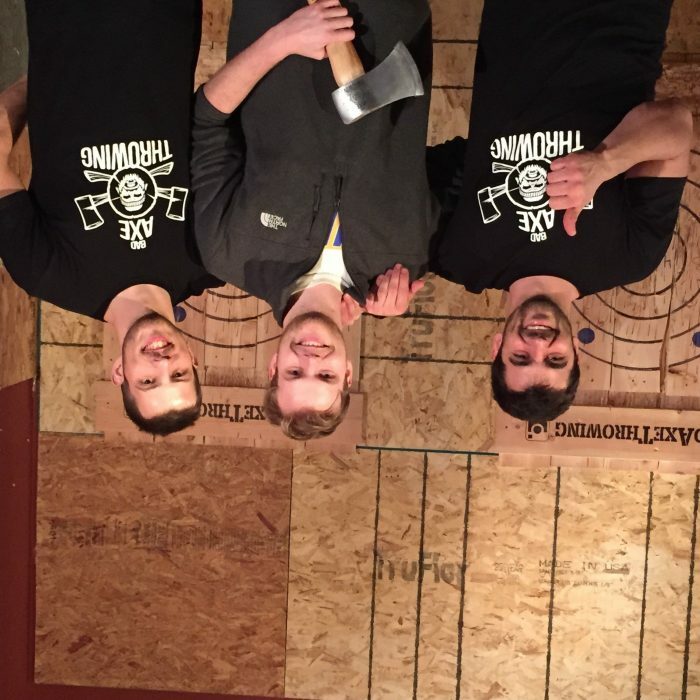 Crowning an axe throwing champion in each city! 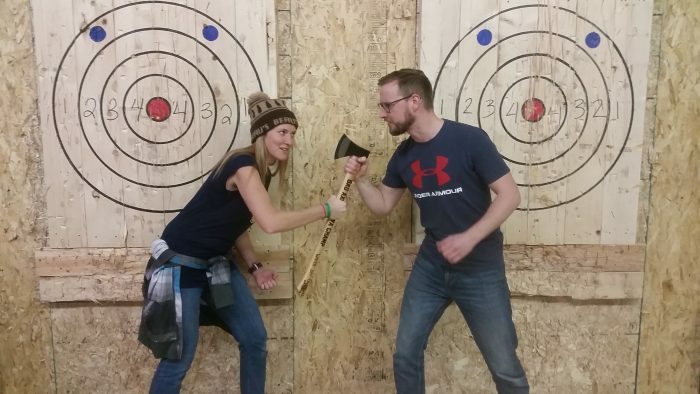 Ottawa hosted the final winter axe throwing league. Peter joined Bad Axe Throwing’s league as a recreational sport although was quick to bring out his competitive side when he landed in the finals with Diana. Peter C. was crowned the champion of Bad Axe Throwing in Ottawa and is taking home the title. While many are newcomers to the sport of urban axe throwing, it’s proven that many find the sport addicting and sign up season after season. Which is why we are thrilled to announce our 2017 Spring Axe Throwing League which will be starting the second week of April. Here’s some helpful information about our axe throwing leagues! Who signs up for axe throwing leagues? Registration is open to individuals, couples, friends and groups. We’ve hosted ladies for a girls night out, gentlemen for a guys night out, couples for a weekly date night and everyone in between! Where do the axe throwing leagues take place? Members received perks such as; free walk-ins, hooking up your friends with discounts, and getting a free pass if you book a party! It’s only $15/week – all materials are included! Our axe throwing coaches had a blast supporting and guiding participants from the beginning to getting them ready for playoffs. Captured below is the Chicago champion with his two coaches, Sam and Julian. Our coaches are ready to kick off a new season and help you get ready for the finals. There’s already a record number of participants across various locations, making each week and tournament more fun and entertaining. Do you have what it takes to take down our current champions? Registration for the spring axe throwing league is open and spaces are limited – Reserve your spot now!